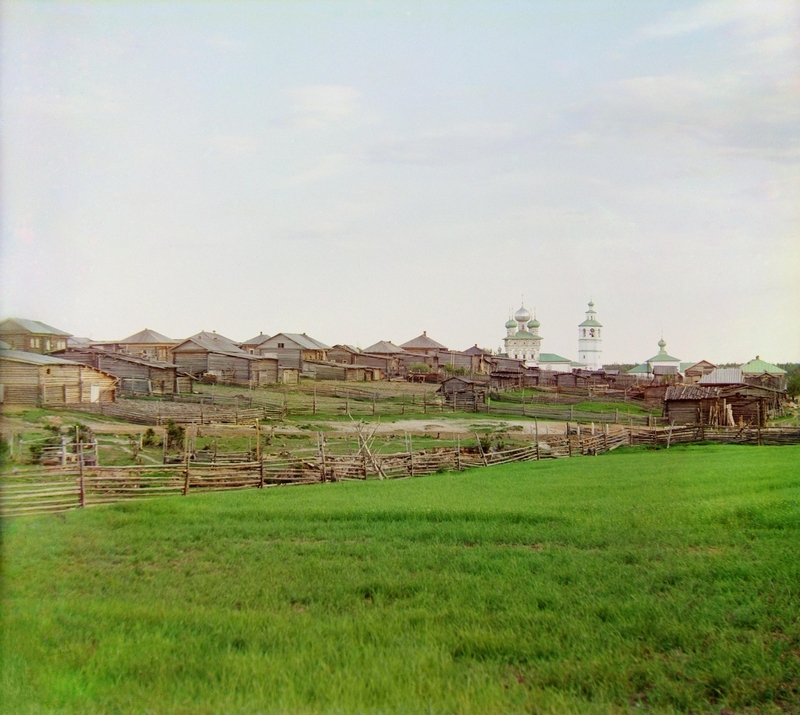 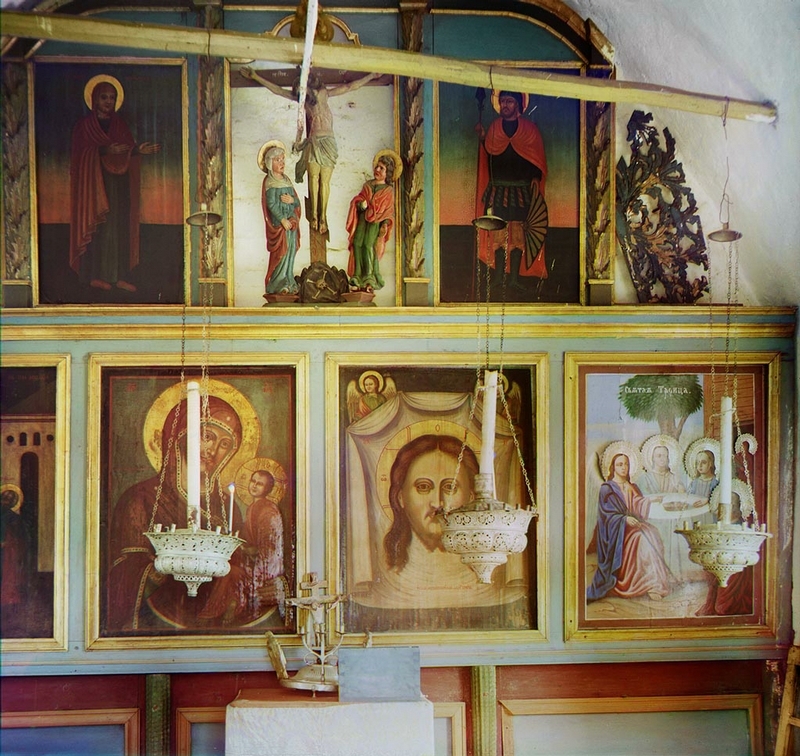 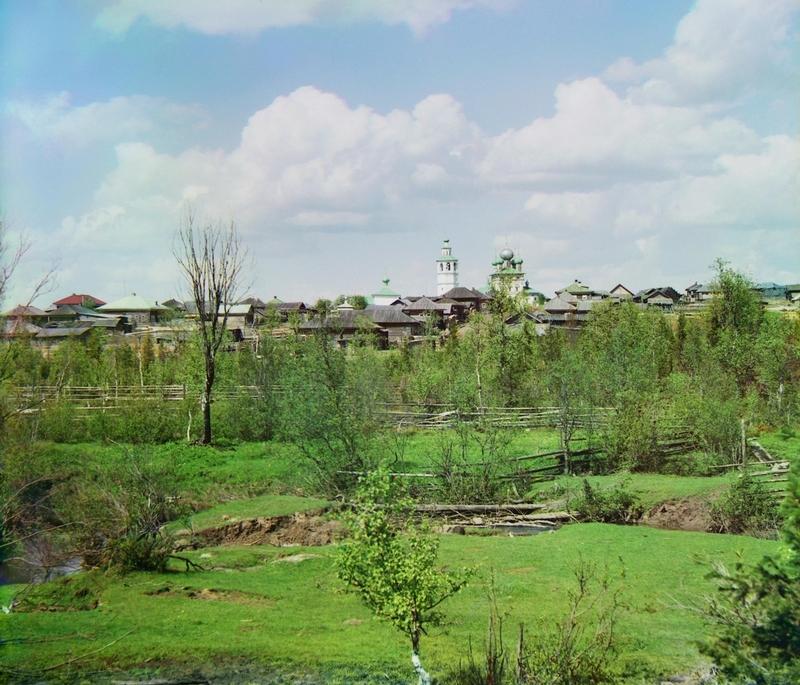 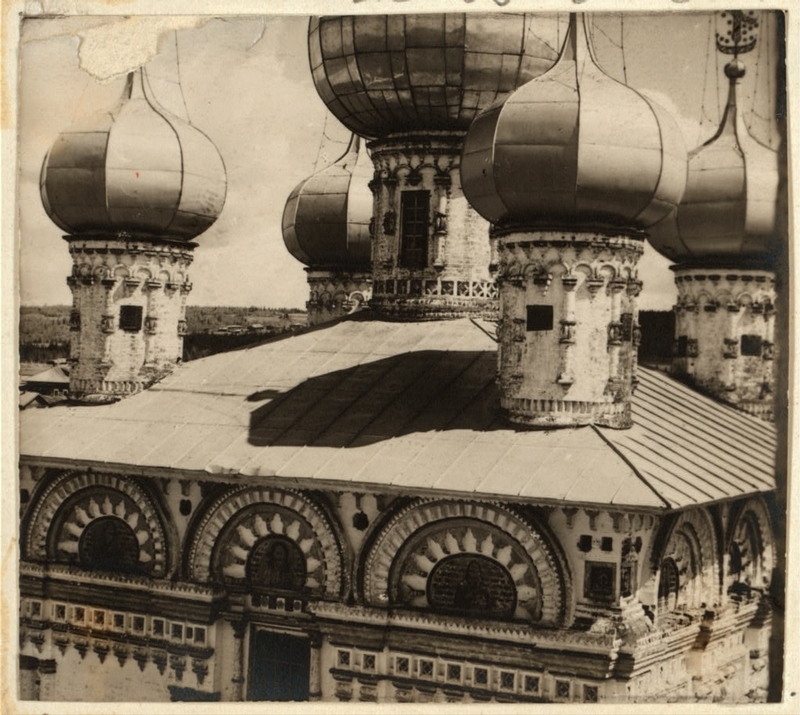 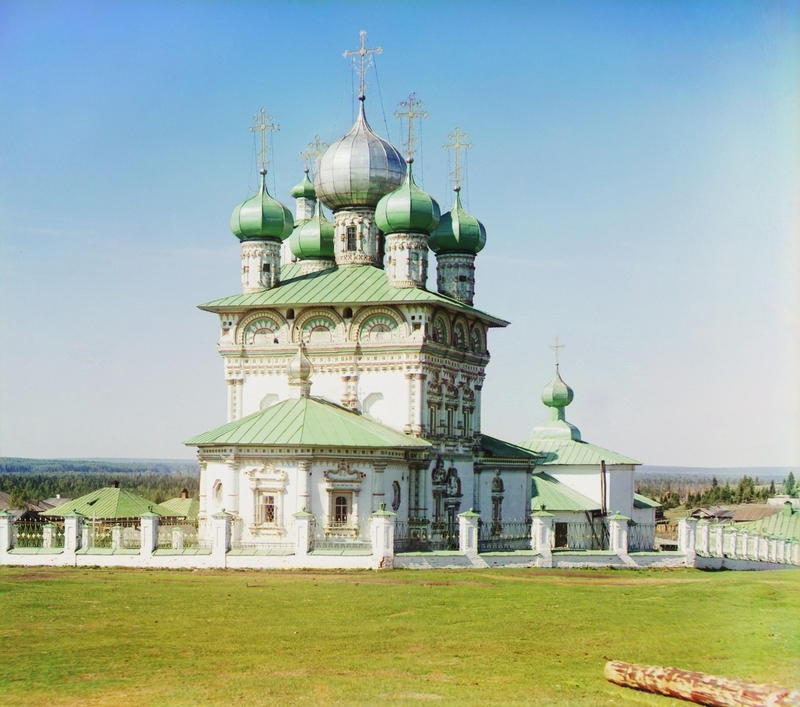 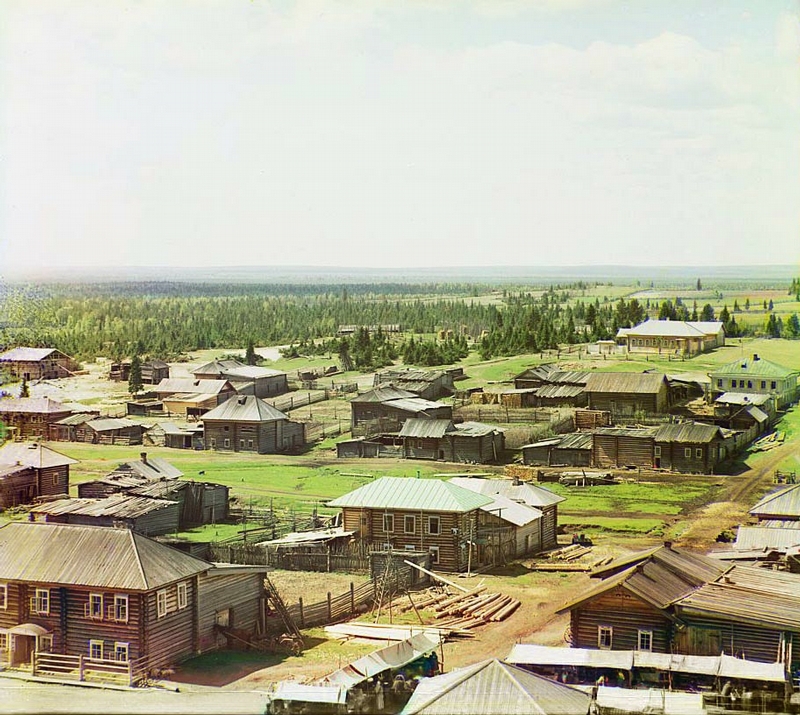 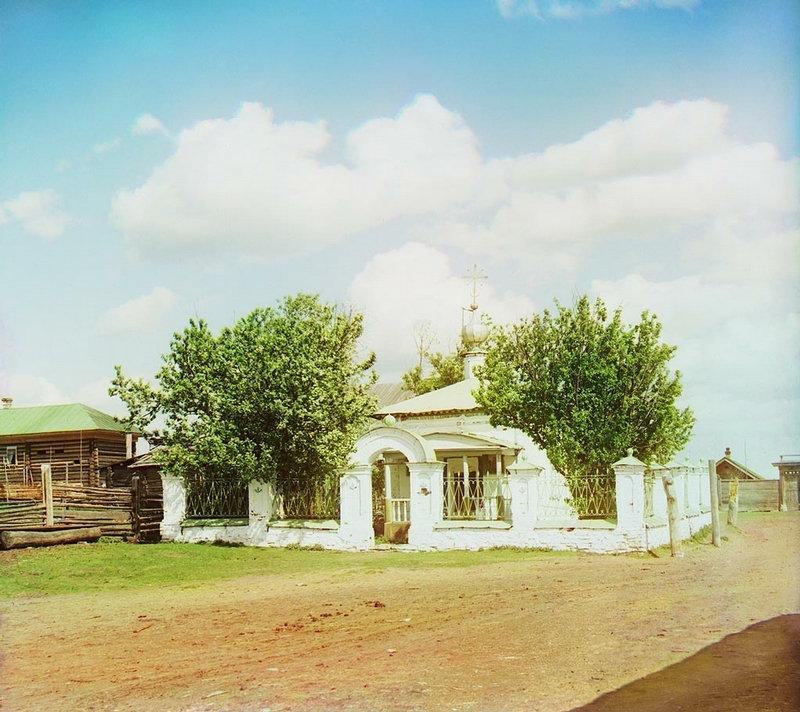 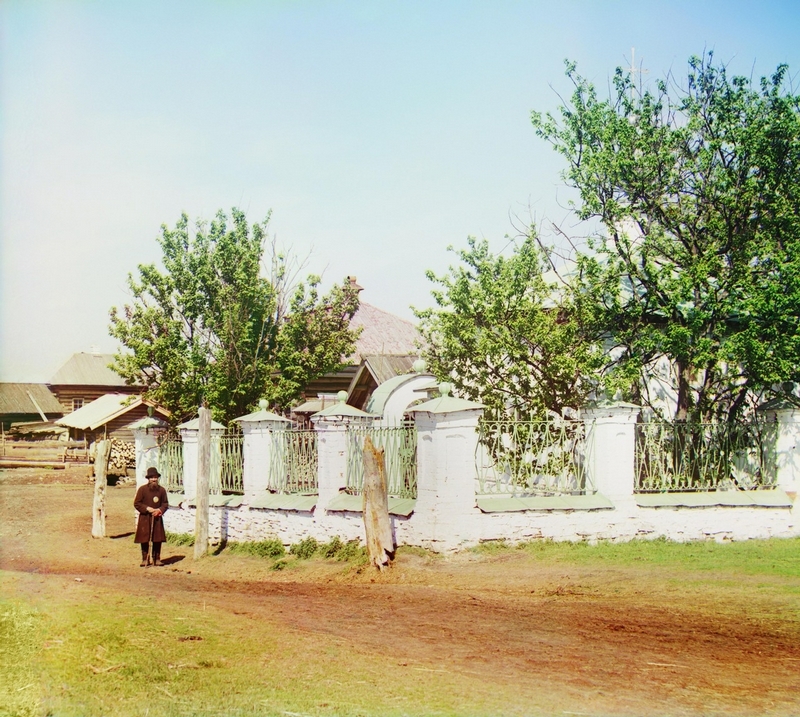 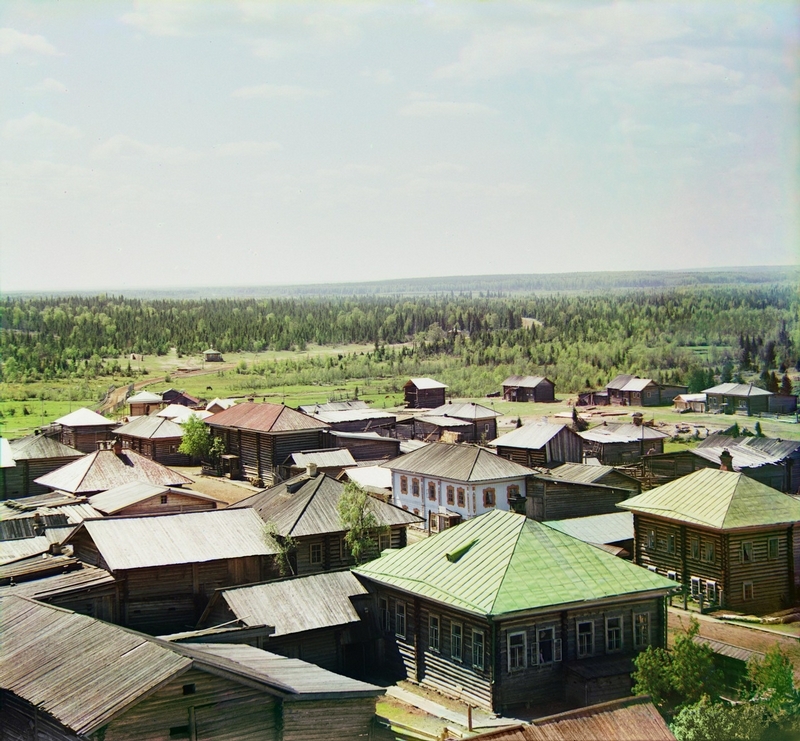 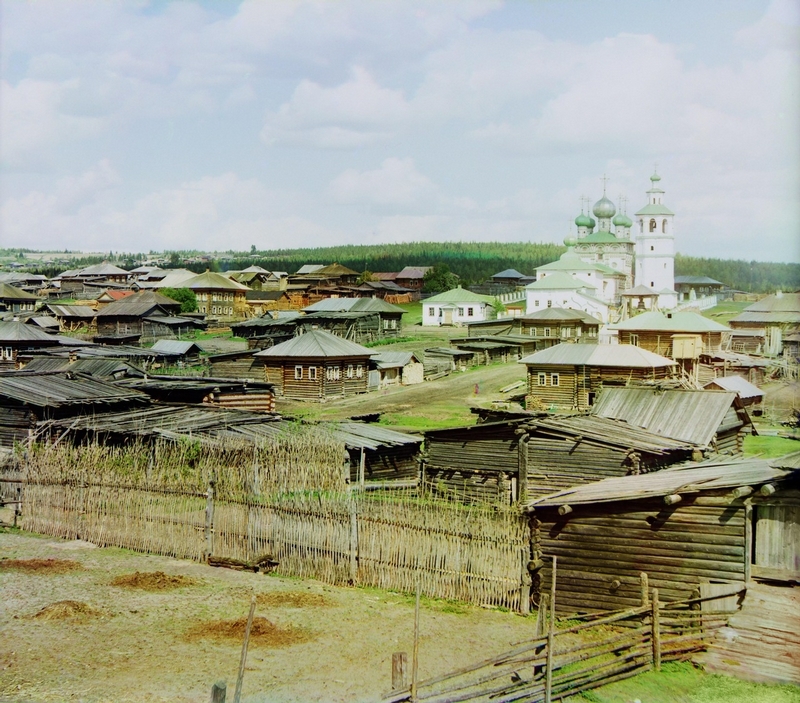 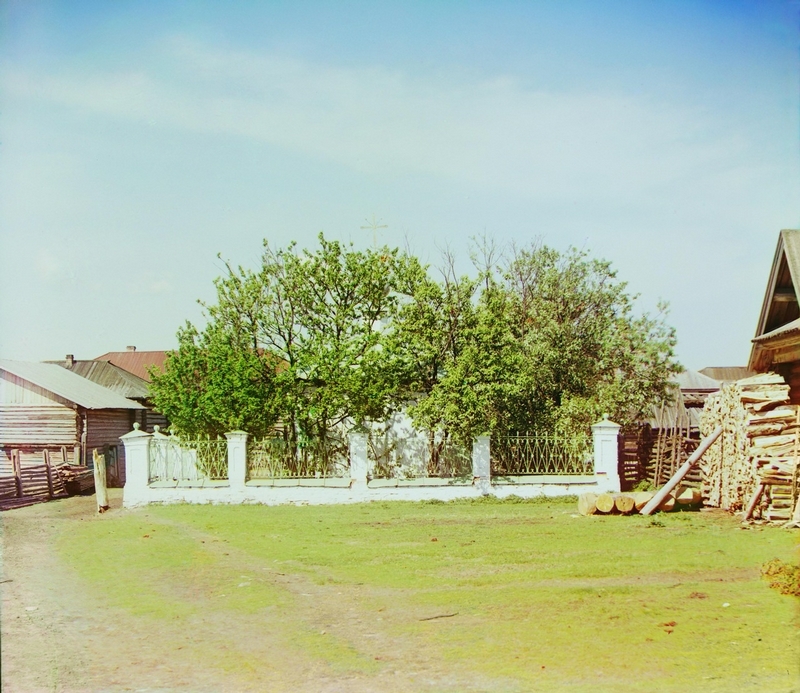 Some color photos of an old Russian village called Nyrob taken not earlier than 1912. 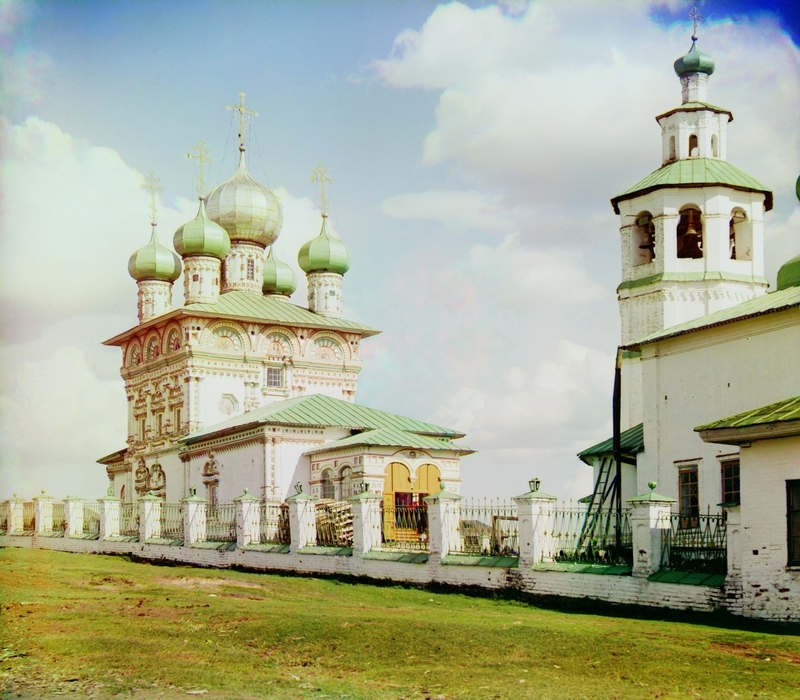 Domes of the Nyrob temple. 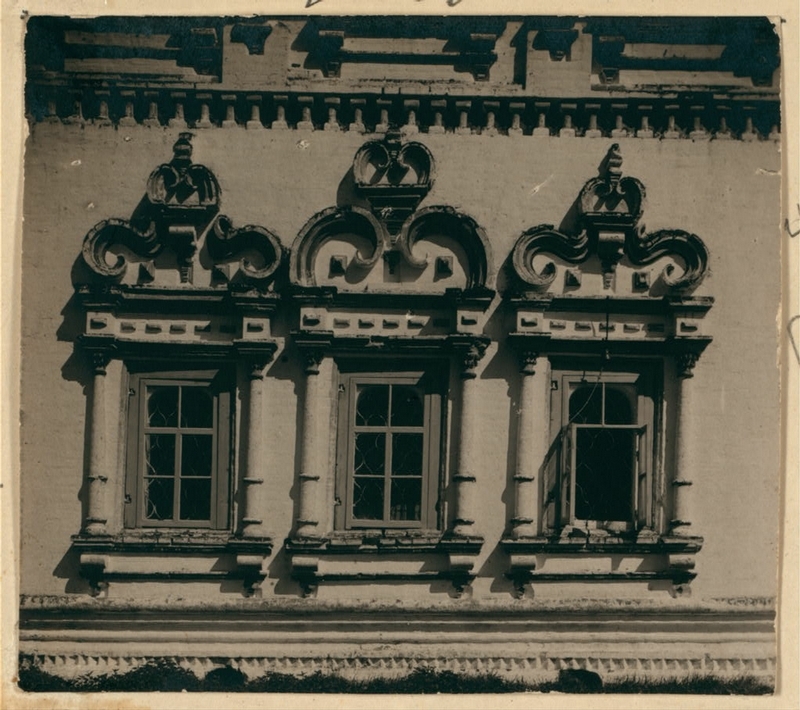 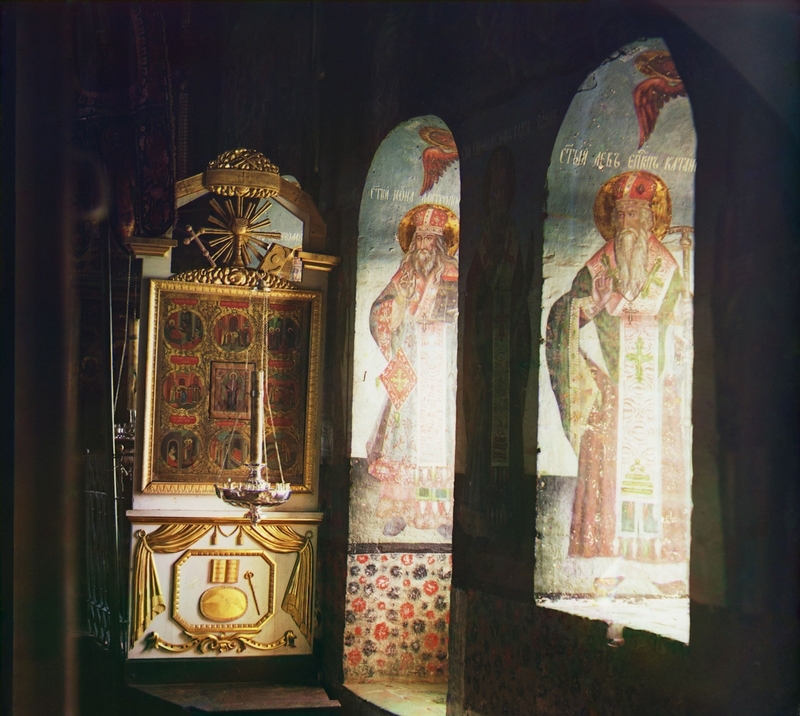 Windows of the St. Nicholas church. 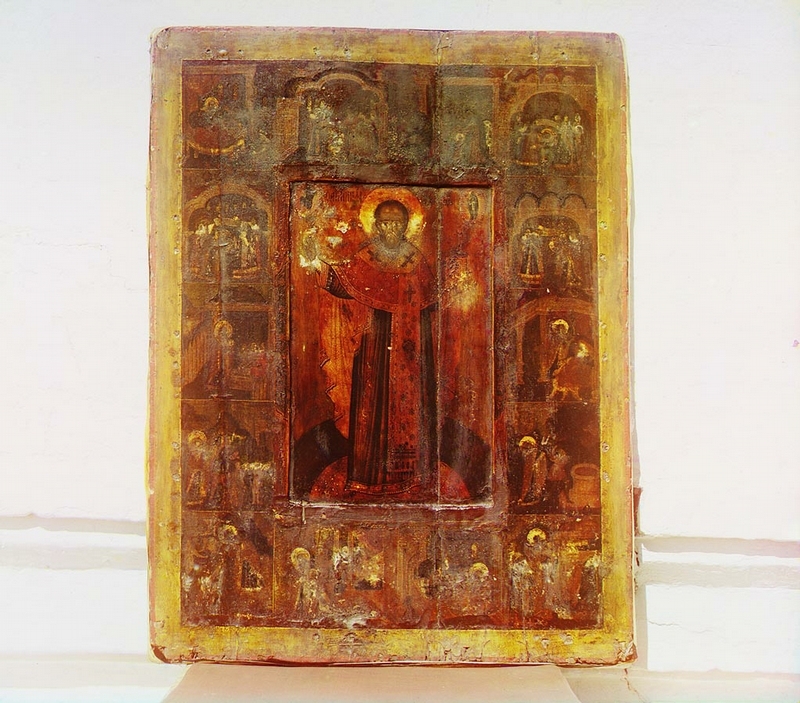 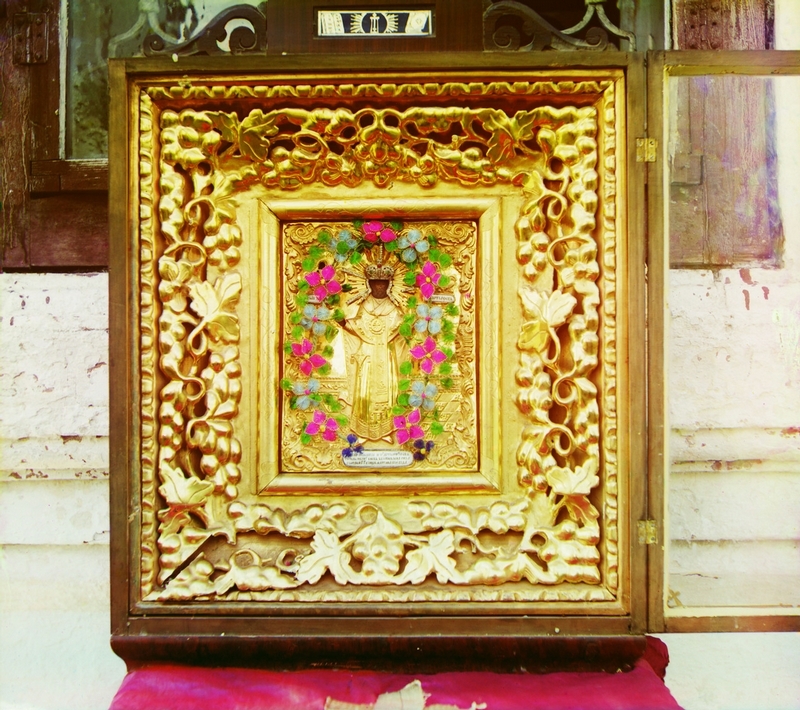 Miracle-working icon of St. Nicholas church. 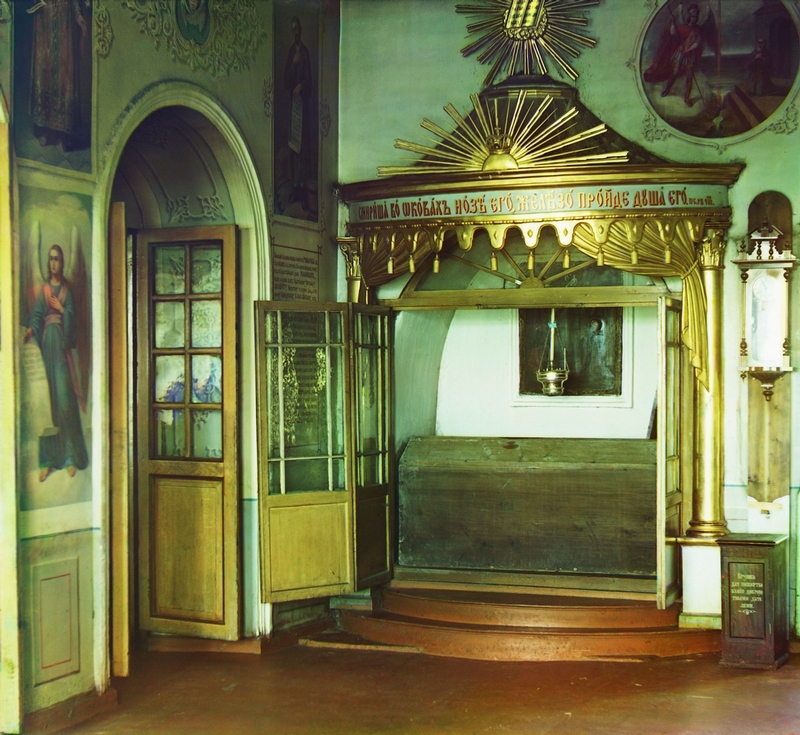 Another icon of the church. 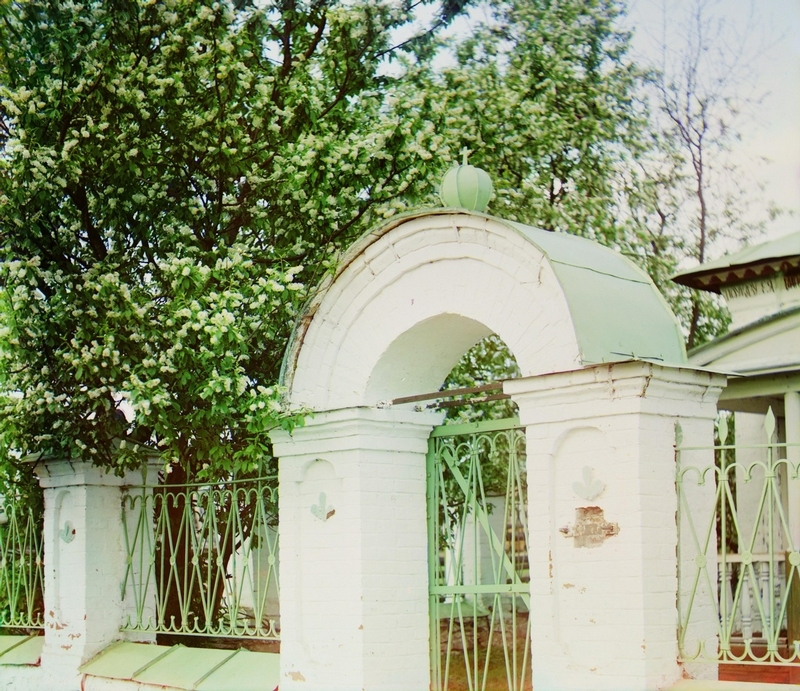 The tomb of boyar Mikhail N. Romanov in the winter palace of Nyrob. 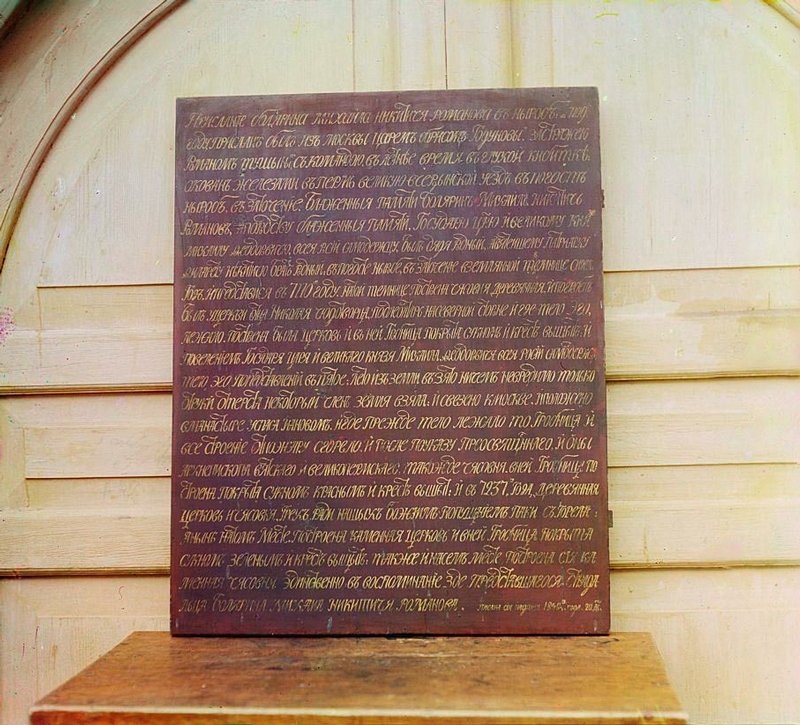 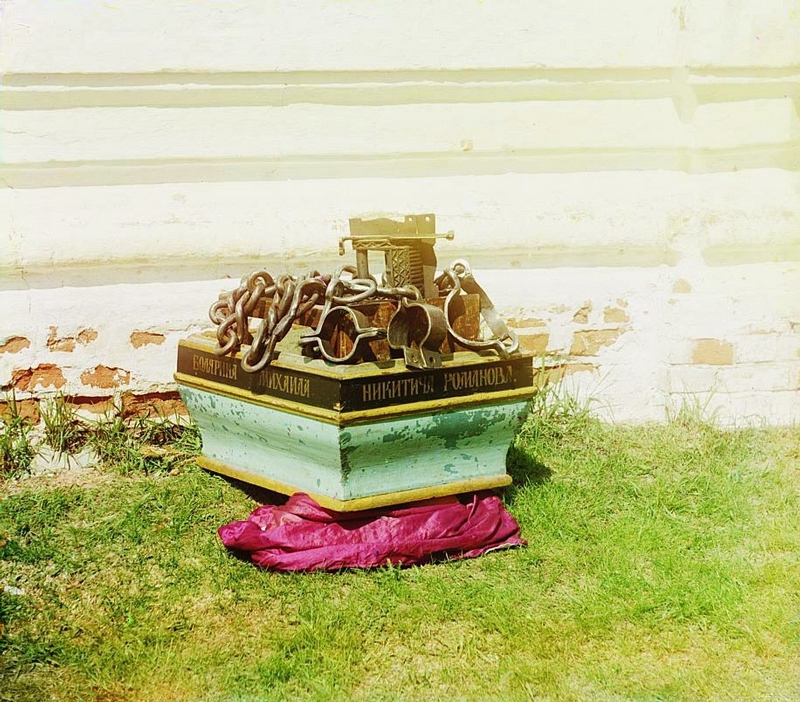 The story of his imprisonment is written here. 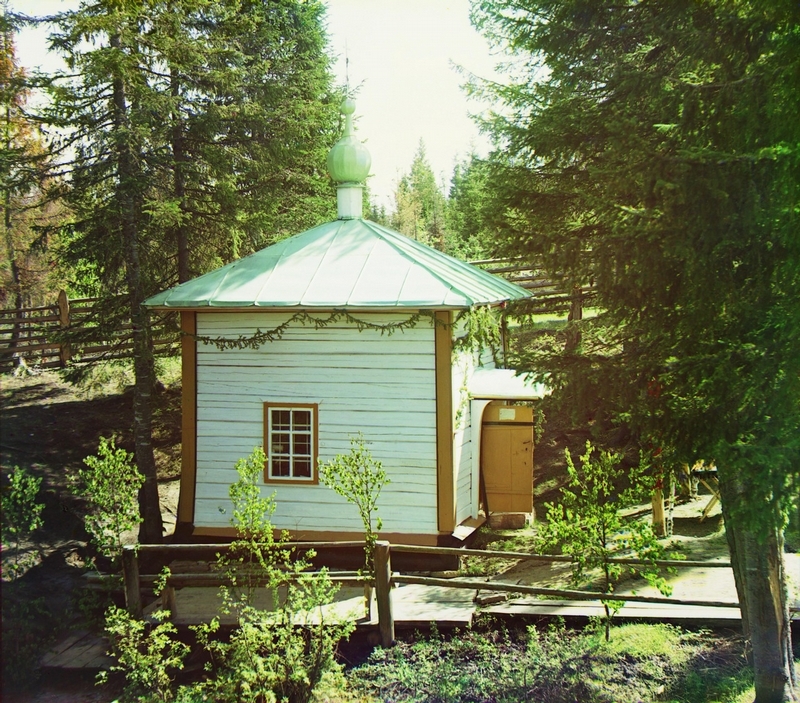 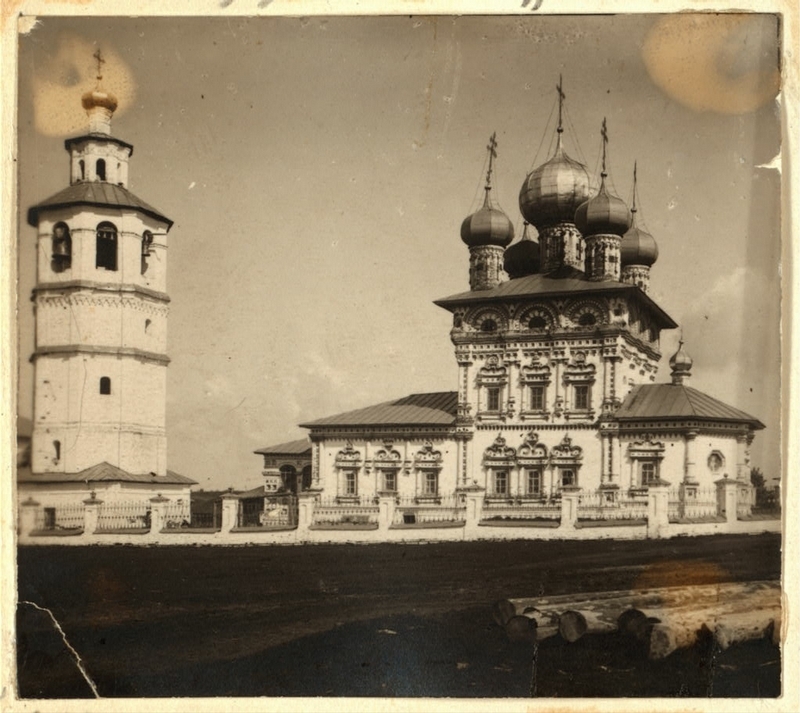 The chapel at the place where M. Romanov was improsoned. 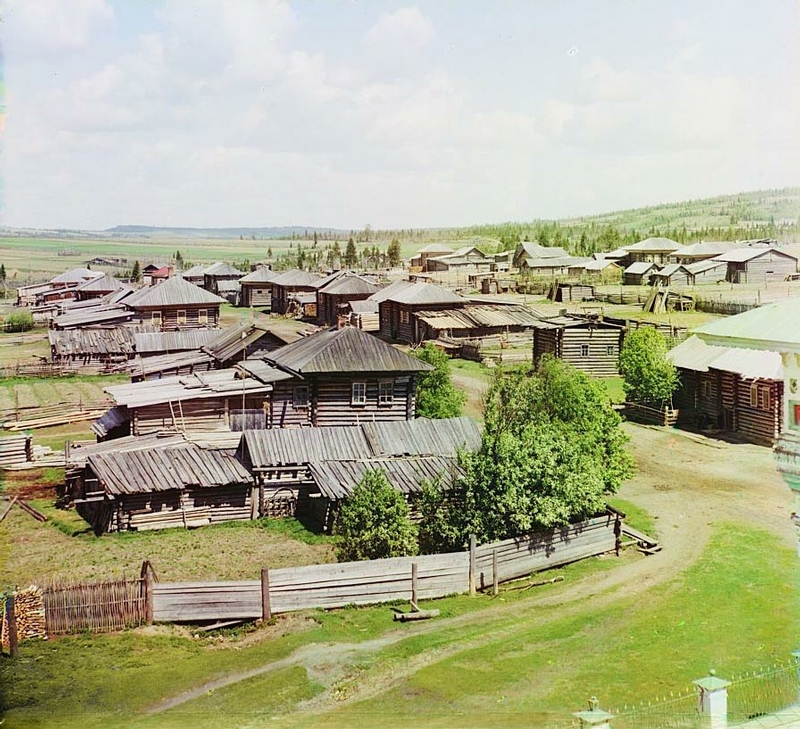 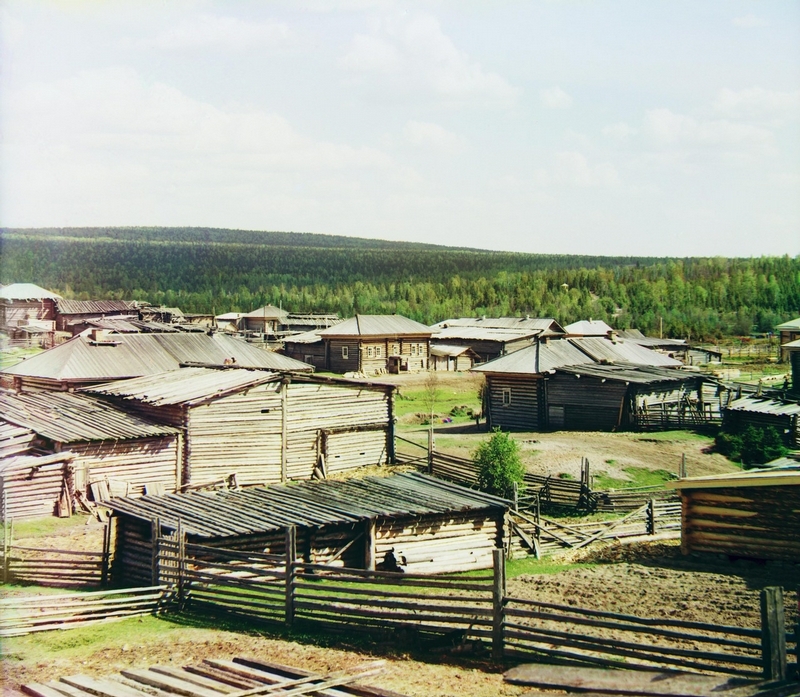 These photos enable you to visualise the Russian village described in 19th century Russian literature.